Carry the Bible in beautiful pocket-sized volumes that are easy to read and easy to carry with you. 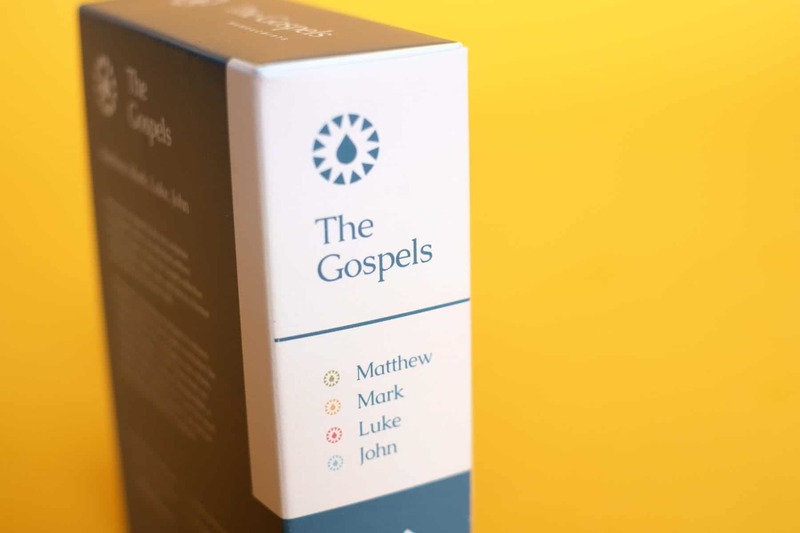 We started with the Gospels because of the role they play in the Bible as a whole. Jesus is the most significant figure in human history and the Gospels are the Bible’s accounts of His life and teachings. "Although the content remains familiar and unchanged, it feels, somewhat surprisingly, like I've discovered something new." "What an incredible way to get Scripture in the hands of the next generation!" “The first thing that really stuck out to me when reading Manuscripts was how it felt like any other book. It was so approachable! I enjoyed that there are not little verse numbers throughout the text. We’re hard at work designing the next books. Subscribe to our newsletter to keep up with the project and get notified when new books are released.